What are the top 10 features of the new Windows 8 OS? As far I know there are many new features introduced in Windows 8 OS, so can you list down the top 10 features which have been introduced in the new Windows 8 OS? What are the new features that are included in Windows 8? When this version of windows is going to be Released? What are the features of ForecaWeatherapp for Windows 8 OS? What are the main features of windows 7 which are not found in windows XP? What are the features of task Manager in Windows 8? 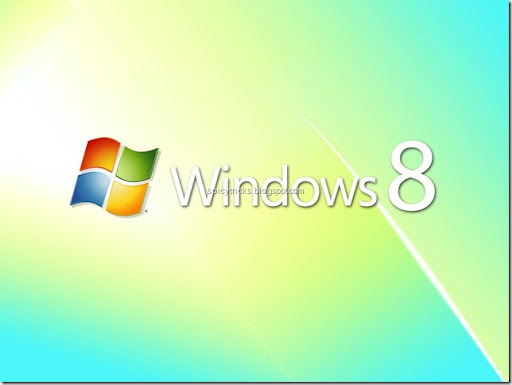 What are the highlighting features of Windows 8? Is it stable for gaming? Give an outline of the features of Pocket Recorder application for Windows handsets? What are the additional features with Windows 7 comparing to its older version? What all features available in Windows 8 which will benefit for business purpose? How it is being used? Re: What are the top 10 features of the new Windows 8 OS? to its previous version that make it more batter and special. 9.Windows Explorer’s got a Ribbon UI! The new windows 8 comes with a lot of new features. 1. An Awesome User Interface. . .
9. Windows Explorer’s got a Ribbon User Interface ! Good Luck . .. !! 1.improved task manager for handling the varies tasks. 2.windows 8 provides good speed to work on it. 3.quick copy function for fast coping of files. 4.it provides support for multiple monitors. 5. easy and fast file transfer. 6. it provides security to the data as it contains in-build anti virus. 7. two touch keyboards for smart inputs. 8. it contains internet explorer 10 which is good and fast as compared to the previous version of explorers. 9. usb support 3.0 which is better than earlier usb 2.0 version. Well as far as I know this operating system is not commercially available. So we can take it for a fact that it is still under modification and its final testing genre. But I can tell you some advantages of this operating system on the basis of the speculations and the beta versions that are already in the market. 1)First thing that it will be mainly touch screen oriented. You can go to the control panel or the application software that you need to use with a single touch. You can zoom in or out with your fingers. But the good thing is that although it will be touch pad oriented software, it will have all the corresponding necessary mouse facilities and keyboard shortcuts. 2)Multitasking will become more easier over here. You can keep multiple applications on the desktop and keep working on each without disturbing the other. With a single touch you will be able to switch between these application programs. 3)Here you will have another virtual keyboard facility. This means that as you form some letters on the keyboard it will show you the possible words that you will be typing with those letter combinations so far and you can select that word, instead of typing it fully. 4)Autocorrect option will be here in a much progressive form. As and when you type words and as you make mistakes the application program(of Microsoft) that you are in will automatically correct that mistake. You do not have to come back for a spell check again. But this option will work for the obvious grammatical words that you will type. 5)You can easily handle dual monitors here. You will be knowing that previously also dual monitors existed and people used to work on it. But there some other software or other hardware was needed to establish such a setup. With Windows 8 you will have dual monitors working easily and interacting with each other. You can share the same program with both monitors. 6)Lastly I would like to mention that this operating system will be much more power efficient and much more faster than its previous versions. 4. net suffering n using by touch. 7. new n interesting app. Kinect gesture control and other input methods. 1) Metro style User Interface 2)All New Windows Explorer The first thing you will notice when you launch your Windows explorer is the ribbon interface.The new ribbon menu will bring all your frequently used file operation commands right in front of you and thus next time when you want to create a folder no need to use the right click context menu, just click on the appropriate button on the ribbon and continue with your work. 3) Internet Explorer 10 Your all new Windows will come along with an all new browser, Internet Explorer 10. 4) Better File Operations 5) Faster Hybrid Boot 6) New Task Manager Windows 8 will come with a revolutionary new Task Manager. The Task Manager will have two kind of views, simple and advanced. In simple view you will be able to see list of running applications and an end task button to simply kill a running task but if you want an in-depth look on all the processes running on your system you can switch to the advanced view. 7) Windows Store Similar to Apple’s Mac store, users will be able to buy or download Metro Style Applications for Windows 8 8) Easy Factory Restore 9) Windows Live ID Integration 10) USB 3.0 Support Windows 8 will support USB 3.0 and thus the entire machine which has the necessary hardware can now enjoy faster copy/move operations. 11) ARM CPU Support With Windows 8 Microsoft will support ARM processors apart from Intel architecture. I would like to tell you that Windows 8 is the latest operating system by Microsoft. It is completely renewed and has a real lot new innovative features. It is build for all type platforms from tablets to desktops to notebooks to netbooks to even smartphones. It is the latest version, after the highly successful deployment into millions of PC's worldwide. Released just in Developers and Consumer Preview mode, Windows 8 already contains more than 300 new features. At its Build developers conference, Microsoft pointed to plans to keep adding more new capabilities until Windows 8 evolves into a shipping product. 10. Support for the different devices. windows 8 contain a new user interface based on Microsoft’s design language named Metro. With the new change, the Start Menu was replaced in favor for the new Start Screen.New Start screen is added for TOUCH SCREEN INPUT in addition to mouse, keyboard an d pen input. A useful and great feature of Windows 8 is “Windows To GO”. It allows user to boot windows from a USB drive called LIVE USB (Both USB 2.0 and 3.0), including the user’s settings, files and programs. But as USB can be plugged in and out, the user will not be able to get the windows hibernate. The handed-down way of unlocking a computer is changed in windows 8. A new authentication method allows users to sketch in three different places over the picture to login, instead of typing a password. The control panel in new windows 8 have great Graphical User Interface to alter settings and personalizing your computer. Like Apple Store and Android Markets Windows 8 comes with Windows Store, an online marketplace for buying, selling, and advertising applications. The new version in USB drives is USB 3.0. With much more data transfer speed upto 5Gb/s and low power consumption. Drivers for USB 3.0 are in built in windows 8, that means no driver are needed separately to access USB 3.0. Windows 8 will support multiple monitors with the new ability to natively display different background images on each display and customized taskbar on each of the connected displays. 5) Internet Explorer 10 For Metro. 9) Windows 8 Snap to Feature. Hope you got required information. 1)The booting has been speed up in windows 8. 3)It has a grid type menu view which looks amazing..
4)The search function is also improved and more advanced..
5)The desktop will look the same every time the user login on a PC with their Windows Live account. Migrating to a new PC is probably made easier when the user has all the essential settings synced. 9)Snap multitasking” is designed to make it easy to run two apps in Windows 8 side-by-side, to resize them, and to switch between them. 10)Lastly Microsoft has also redesigned the control panel for Windows 8. New options include Personalize, Users, Wireless, Notifications, General, Privacy, Search, and Share. Top ten features of windows 8. -->Better support for multiple monitors. -->support for both X86 pcs and ARM tablets. -->Support for both X86 and ARM tablets. -->Touch Centric tiles based user innterface. Top ten features of the windows 8. -multi tasking kind of thinks very much process to easy to work and time saved. mainly by comparing windows 7 it is easy friendly used Operating System.. The top features in window 8 . These the most top features in window 8. So many features are their but these feature put windows8 has a separate position in World. Much support for Touch screens. In certain reason we can say windows 8 operating system especially for touch screes. Windows 8 Introduce to ARMS. Provide snap of the tasks. Provide good Multi task environment. Provide Title view in windows 8. Microsoft SQL Server Online maintain is Available . Music and Videos and picutres are easily synchronize with Windows 8. Good Application support is their. Which will available after October of this year. Easily getting the online resources . Navigation scroll bar are changed. Drop down item visualization is increased. input box visualization is comfortable. 10. Shortcuts are Increased.On screen Keyboards are much comfortable. 6.windows 8 having two touch key boards. Windows 8 is the first edition of Windows to operate on both ARM-based tablets and traditional x86 PCs based on ARM processors from Intel and AMD. In addition, the ARM edition of Windows 8 includes a new mode dubbed “always on, always connected,” designed to let tablets act like smartphones. Tablets can remain in standby mode without disconnecting from the Internet, and then wake up instantly. Windows 8 is designed to work seamlessly across both PCs and ARM tablets. Yet until developers get a real start on apps for Microsoft’s still empty Windows Store, it’s tough to tell whether that will be universally true. Although Windows 8 might look and feel like an entirely new “user experiemce,”, Microsoft is actually layering a new animation-enabled user interface (UI) on top of an only somewhat upgraded Windows 7. The Windows 8 Start Menu is customizable through a mosaic of tiles, which differ from traditional desktop icons by letting you view live information from Windows 8 Metro style apps without actually accessing the apps. In demoing the tile-based UI at last week’s Build conference , Microsoft showed how the tile for a Windows 8 weather app is able to display the current temperature in a city – along with projected temperatures for the next two days – without requiring you to open up the app. A tile for Windows Live Mail will show you your latest message, while a tile for a social networking app will show you notifications. “The [Metro] apps are full-screen. They’re beautiful.They’re designed for touch, but of course, they work great with a mouse and keyboard as well if that’s what you have. We wanted to make it really fast and fluid for you to switch between them,” according to Jensen Harris, lead program manager on the Microsoft Office User Experience..
Windows 8 users are also able to access Windows 7 apps. “Everything that runs on Windows 7 will run on Windows 8,” maintained Steven Sinofsky, president of Microsoft’s Windows and indows Live division, during a keynote at the Build conference. However, in order to access Windows 7 apps, you need to switch to a different built-in UI. In large part, ‘charms’ is a new implementation of the traditional Windows start bar. Charms can also be used to quickly configure settings for individual apps. On an ordinary non-touch PC, charms are accessed by dragging the mouse to the bottom-left corner of the screen, to the same spot as the old Windows start button. On a tablet, you swipe from the right side of the screen to bring up charms. Microsoft recently applied for a trademark on charms. The charms sidebar offers five sets of options, supporting both app-specific settings and system settings such as volume and brightness. The options include Start, Search, Share, Devices, and Settings. The Start option returns the user to the home screen. The Devices option presents a list of connected devices. Under the Share option, users can see social network sharing apps. 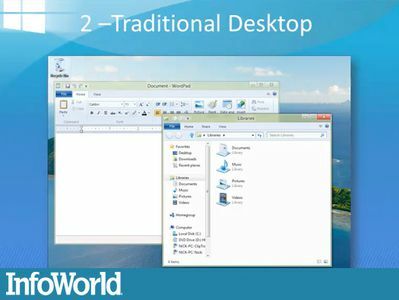 ‘Snap multitasking” is designed to make it easy to run two apps in Windows 8 side-by-side, to resize them, and to switch between them. On the right-hand side of the screen, you can snap an app into place. You can make an app smaller or larger by dragging the bar for the app. To switch between apps in Windows 8, you swipe from the left-hand part of the screen. However, Windows 8 does not allow you to view all of your running apps on a single screen. Beyond revamping the Windows task manager, Microsoft has also redesigned the control panel for Windows 8. New options include Personalize, Users, Wireless, Notifications, General, Privacy, Search, and Share. As Metro style apps become available, you'll be able to use the Personalize menu to customize the Start menu with tiles for calendar, music, e-mail, Netflix, and much more. In a demo at Build, Julie Larson-Green, Microsoft's corporate VP of program management for Windows, showed how you’ll be able to position these Metro apps on the screen, and also to combine them into groups such as friends and games. The Internet Explorer (IE) 10 browser built into Windows 8 is designed to offer faster browsing through greater hardware acceleration, along with rapid gesture-based zoom, pan, and Web site navigation. As in other areas of Windows 8, you can quickly access Windows 8 charms, as well as the two keyboards described below. Windows 8 also contains two soft keyboards: an “enhanced” traditional keyboard, plus a new thumbs keyboard for non-touch typists. In efforts by Microsoft to make typing on a virtual keyboard faster and more accurate, the revised edition of the conventional keyboard suggests words on the screen as you type. You can then tap to selected a suggested word. Microsoft also provides a spellcheck-like feature designed to automatically correct mistyped words – although like any other spellchecker, this feature carries the potential to cause its own errors. Windows 8 also introduces the ability to perform all current copy operations into a single dialog box, instead of requiring you to perform file copying in separate dialog boxes for each app. The new dialog box for file copying lets you pause, resume, and stop each sopy operation currently under way. It will also warn you if you’re beginning to copy one version of a file on top of another. Microsoft has also added a realtime throughput graph. “Now each copy job shows the speed of data transfer, the transfer rate trend, and how much data is left to transfer. While this is not designed for benchmarking, in many cases it can provide a quick and easy way to assess what is going on for a particular [copy] job,” noted Alex Simons, director of program management with the Windows 8 management team. New USB 3.0 ports operate at speeds up to ten times faster than )SB 2.0. To better support these speeds, Microsoft is outfitting Windows 8 with native USB 3.0 drivers. Meanwhile, though, USB 3.0 will purportedly continue to work under Windows 7, through the use of third-party drivers. Windows 8 also brings increased support for multiple monitors, The Developers Preview of the new OS includes first-time capabilities for extending the taskbar across two PCs, without any need for third-party apps. You can also stretch wallpaper across two monitors, or display the Start screen on one PC and the desktop on the other, for instance. Windows 8 is the newly released OS of Microsoft Corporation. Its successor is Windows 7 followed by Windows Xp. Microsoft has tried to reduce the difference between the OS of Mobiles and PCs through Windows 8. Windows 8 is compatible with Tablet and PCs both. ~ It supports both x86 PCs and ARM tablets. ~ Task Manager has been improved a lot. windows 8 is latest operating system in which there is lot of new features which are very attractive and easy to use that operating system windows 8 and user like most the windows 8 due to it's new and nice features. windows 8 is upgraded operating system and completely new and very nice new features. --> New task manager which display separete program running in windows , window process , background process etc. --> you can put your system on automatic maintanance such as update , scanning , testing etc which you want. I will list you out the 10 features of the new windows 8 OS they are. 1.Support for both x86 PC's and ARMS tablets. 2.Touch centric, Tiles based User Interface. 3.The new implement is 'Charms'. 5.The another feature is 'Windows 8 Control Panel'. 6.Another feature is 'Joining the app store masses'. 7.Another feature is 'The great Unification'. 8.The another better feature is 'Forcing a touchy issue'. 9.The another feature is 'More hardware Configuration is needed'. 10.The 10th feature is 'Fearing Giants Promotes Innovation'. I hope it will help you to solve your problem. All times are GMT +5.5. The time now is 08:47 AM.